Texas Instruments’s Pico Projector is small enough to fit in a cellphone (albeit a chunky one, if the prototype we saw is any indication) but bright enough to shine a 15-inch-wide image even in a well-lit room. TI first showed the device at last year’s Consumer Electronics Show (CES), and it’s made only one public appearance since then, said TI representatives who busted it out during a small reception in New York last night. Seeing really is believing with this tech. Point the Pico at any even vaguely flat surface—a wall, someone’s back, the palm of your hand—and it’s movie time. The model I tried works by shining red, green, and blue lasers on a tiny digital micromirror device—the same kind of chip that powers DLP movie-theater and living room projectors and rear-projection TVs. A new version in development uses light emitting diodes to save money, power and heat. Good thing, too, because the Pico I held last year made a loud whirring sound, courtesy of the cooling fan. they should put this into an ipod now that i would buy! this is quite cool, pretty soon any wall can be a theater or presentation. the led technology is going to be pretty interesting going forward and lcd and dlp technologies will come under threat toward 2010 and beyond. I'm going to have to buy me one of these whenever they come out, they are pretty amazing. It's nice to see the various projector manufacturers making the pico projectors with DLP technology. Great article enjoyed reading thanks! This would be awesome for riding on a plane or even for making a presentation. Though I would guess battery time will be an issue. that´s looking crazy..... great ideas. If the projector only produces a 100 lumen image, then it is still 1/4th as bright as a 75 watt lightbulb. This is good enough for most minor uses. a theater or presentation. 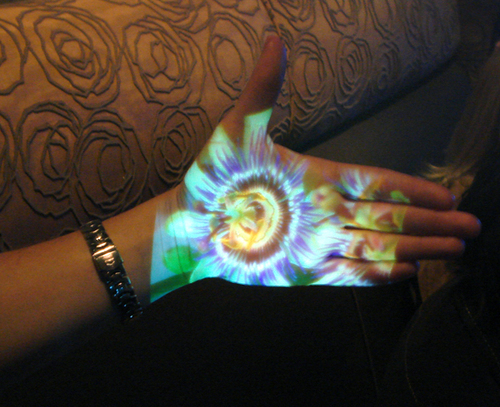 the led technology is going to be pretty interesting going forward and lcd and dlp technologies will come under threat toward 2010 and beyond. Good work! Your article is an excellent example of why I keep comming back to read your excellent quality content that is forever updated. Thank you! I can think of all kinds of ways that a mom & pop store could use a pico projector for in store advertising. Brand-name treatment tends to be more expensive than when you buy Sildenafil Citrate, for which the chemical composition is the same because the manufacturers of that brand-name treatment need to recover the original research and investment associated with developing that brand-name product. Seeing really is believing with this tech. Point the Pico. 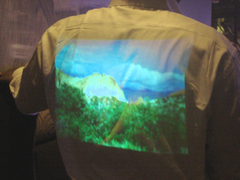 It's nice to see the various projector manufacturers making the pictures projectors with DLP technology. Interesting article, thanks for sharing with us!